We are flourished with the team of amicable expert professionals in the organization and we are considered a trustworthy Bio Pesticide Granule Manufacturer, exporter and supplier in Ahmedabad. We are manufacturing the bio pesticide granules with active ingredients based on microorganisms, naturally occurring substances or plant extracts. The offered bio pesticide granules include salt of fatty acid and alkaloid. 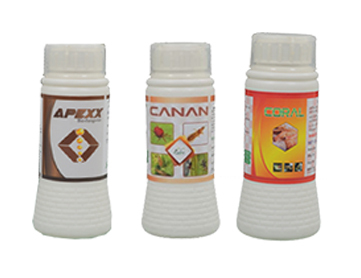 These pesticides are suitable for all kinds of horticultural crops to protect the crops from insects, fungi and weeds. We are having these pesticides with effective pest repellant properties. We are formulating these pesticides with naturally derived anti fungal, anti bacterial oil of wild plants for soil applications. Further the pesticides are mixed with the soil in the land before irrigation of the field or during preparation of the field for irrigation. Used in farming and agro based industries for terminating pests affecting the crops. Further before the delivery of the products, they are tested on various parameters and available at the most affordable rates. With the support of the researchers we are engaged in developing specific formulations for the specific crops and for controlling specific pests and diseases.